The financial planning problems that is toughest to plan is when a lot of the variables that goes into the planning are tight. And also when we have a lot of constraints and scripts. This works out to a 4.8% initial withdrawal rate (24k/500k). Depending on how much you know about the literature of retirement, this would seem very feasible or very not feasible to you. In hindsight, that withdrawal rate is rather high that if one were to withdraw a constantly inflation adjusted $24,000/yr, there is a high chance the person would run out of money. Both requires more effort. #1 is a very tall ask based on my experience. To implement the above, I found that the financial assets/solutions that could be used to implement also becomes limited. For example, your investments total return (capital gains + dividend/interest/rental income yield) needs to be at least 10%. That eliminates a lot of traditionally low yielding instruments. You will probably need to invest in an active fund, perhaps Eric Kong’s Aggregate Asset Management. They are confident of a 5% initial withdrawal rate. In financial planning, you probably need a good planner who is competent enough to know all the variables and constraints, put them together, and make your plan work. Good planners in the world of planners are rather rare. Good planners focused in retirement is even more rare. Contrast my situation to Person B, that requires at the very least inflation adjusted $20,000/mth to fulfill her monthly expense. And the person B have a $10 mil net worth. Person B will draw down an initial $240,000 / $10,000,000 = 2.4% withdrawal rate. By all standards, the probability the person B’s wealth can last for 60 years despite drawing an inflation adjusted $20,000/mth is very high. Person B’s rate of return on her wealth need not be exceptionally high. She does not need some rules based flexible spending plan. You can put part of your portfolio in lower yielding REITs (5%) which have a higher prospect of growth. They also tend to have better managers. You could put part of the portfolio in quality companies that distributes a 2.5% to 4% dividend yield, with a low payout ratio. This leaves enough room for growth. She would probably need a good planner as well, but her planner would have a much easier time with her case. I think, when I was running through my case, there is that lingering thought in my head whether what you know in theory matches up to the reality. This is because, in my case, my margin for error is very small. If my plan is not very robust, I will get a shock next time. In person’s B plan, there is much more room for error. Even If she withdraws a little more, or 50% more, her withdrawal rate would be 3.6%. It is still safe in a lot of historical 30-50 year scenarios. Why did I compare my situation with a person that is rather well off? I want to bring to your attention the advantage of someone having a larger net worth versus someone who thinks he had just about enough. She has more room for errors in her plan, more available and suitable financial products. But most of all, she does not need that high of a return. There is often that debate of whether you should budget or cut your expenses, or you should focus on earning more. This has been debated to the death. And some would take the middle ground of saying you should do both. If we are to be strict about it, and limit earning to how much you can earn from your financial assets, then the debate will be tilted. A person can double down on his job, on his business to earn much more than he does now, but when it comes to achieving alpha in your investment performance, it is different. If you put in more effort, it does not mean that you will be rewarded with higher investment returns. Only probably a handful, can deliver superior than market average returns. And so if you have a withdrawal rate of 5-6%, that might mean you have to gain access to, or have seriously dope capital allocation and investment skills. Your plan becomes weaker because only a handful of people could execute this well (unless you use some flexible variable withdrawal strategy, take on more volatility by having more equities, which may or may not always worked well for you), so its rather dead on arrival. To compound to the problem, a lot of people, due to their need for that 5-6% withdrawal rate, spend a lot of effort to attempt to generate that higher rate of return. In the end the effort that they spend versus the reward, is asymmetric. If not pushing portfolio returns, would expense optimization give us better gains? I would contend that, a lot of people come into planning thinking how they spend in the recent past is how they would spend in retirement. What you need for your expenses might be rather different. If you right-sized your expenses, your initial withdrawal amount might increase the success rate of your plan. 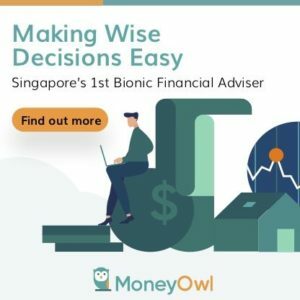 The toughest clients would probably be those that came in with a 6-7% initial withdrawal rate and throw a ton of inflexibility to the financial planner. They need $36,000/yr and they want you to make $600,000 in liquid invest-able assets work. They wish to preserve the capital for the next generation. They cannot bear to see any volatility in their portfolio. They think what they need, is what their spending is like now. I think they need a financial miracle or $300,000 to $400,000 more. If you realize that instead of $36,000/yr, what will keep you satiated, satisfied about life, would cost you only $24,000/yr, you might just need to accumulate $100,000 more to have a very robust plan, then the financial miracle you thought you need previously. A lot of the problems with their existing financial independence plan can be improved by refining the above 4 things. For example, it took a while more, from going through life, for me to learn about the reality of different schemes of life, and know that I would probably not want to be permanently not working. I realize that there may be some folks like myself that wishes to alleviate that fear of not able to survive if you do not have a job, or to depend on others. To alleviate that fear, cost much less than the $24,000/yr I originally envisioned. In my December post on my annual expenses, I listed the estimated expenses to just not fear about survival or dependence on external factors so much. If the net worth stayed at $500,000, then the initial constant inflation adjusted withdrawal rate would be 2.3%. Your mileage may vary, based on what you really want. It might be the case, after right sizing your expenses, figuring out the scheme of financial independence you prefer, you have to accumulate more. If you define what you really want, optimize your expenses, and figure out the most suitable scheme of life, you might find yourself living a life with satisfaction that is higher than the Person A in my example, if Person A didn’t know that working might give her more life satisfaction. There is going to be a bunch of people that will come at me and debate that there are so much expenses that you can optimize. That is fair enough. And in a lot of what I advocate, I contend that your expenses might go up instead. I have certainly benefit from earning more. If I were to retire today, I would certainly have a lower initial withdrawal rate on my investable assets due to not stopping at $500,000. That was a good exercise, but with $200,000 more and keeping to the plan (4 more years), I would have more buffer, the plan is safer, the margin for error is higher. However, we cannot always use going back to work as an excuse if we are evaluating whether it is better to earn more returns or optimize expenses. In real life, these cheats are available to you, and thus for those flexible, financial competent folks, they will make your plan more concrete. I took my inspiration for this article from this week’s great piece of work by Morgan Housel. The biggest return talks about the difficulties of finding more sources of energy, versus the improvement in the efficient use of energy. The use of energy have improved dramatically, and despite the talk of shale, wind turbines and solar panels, what gives the biggest returns have been the improvement in efficiency. And Morgan lays out how this relates to investing. If we have the same assets and I can earn an 8% annual returns, and you can earn 12% annual returns, but I need half as much money to be happy while your lifestyle compounds as fast as your assets, I’m better off than you are. I’m getting more benefit from my investments despite lower returns. There are investors who grind 80 hours a week to add 10 basis points to their returns when there are two or three full percentage points of lifestyle bloat in their finances that can be exploited with less effort. Outperformance is amazing when it can be achieved, and some can achieve a lot of it. But the fact that there’s so much effort put into one side of the finance equation and so little put into other is an opportunity for most people, companies, and countries. The initial withdrawal rate explains the advantage of the very wealthy over you. However, it also means that you can have some of that advantage if you are able to know what you want, the kind of life you wish to save up for. You can have that same low initial withdrawal rate. And sometimes, you might be happier than the richer person because you know what keeps you satisfied and gives joy more than someone who have much more resources. I realize something as I was running through the numbers. I thought with $10 mil, the initial withdrawal rate for $20,000/mth will be like 1% and that would mean it is really comfortable if you are very wealthy. My perception was wrong. And this is not the first time I perceive numbers wrongly. Thus, sometimes it is good to work out the number with the assistance of a friend, just to see the numbers in reality. $10 mil could be made up of $4 mil in property value where you live, leaving $6 mil in investable assets. Based on $6 mil, the initial withdrawal rate becomes 4%. It is not super safe anymore. If you right size your expenses well and have a 3% initial withdrawal rate, you can be in a better position than someone with much more money. I write about more retirement planning, financial independence stuff in number 6 below.